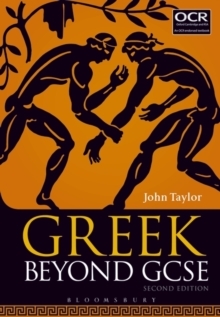 Greek Beyond GCSE covers all the linguistic requirements for the OCR AS and A Level in Classical Greek. It aims to bring students to a point where they can tackle original Greek texts with confidence. Although designed as a continuation of Greek to GCSE, it is self-contained and can be used independently. This second edition is brought in line with the current OCR specifications. The first part of the book introduces new constructions accompanied by exercises including the translation of sentences from English to Greek and reading passages(which in the opening chapters are lightly adapted). The next sections provide translation and comprehension passages at both AS and A Level standard, including verse unseens, scansion, and a list of 300 common poetic words (new to this edition). Next come longer unadapted extracts from a range of authors. Finally there is a reference section including a summary of all constructions, a comprehensive grammar, various appendices and a vocabulary of about 1,200 Greek words.